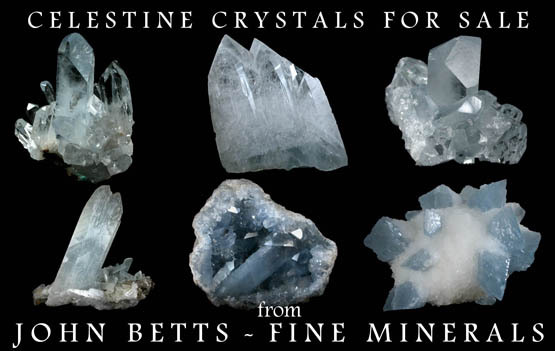 Description: Two pockets lined with two generations of celestine crystals. 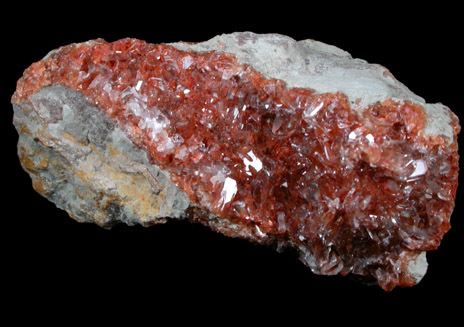 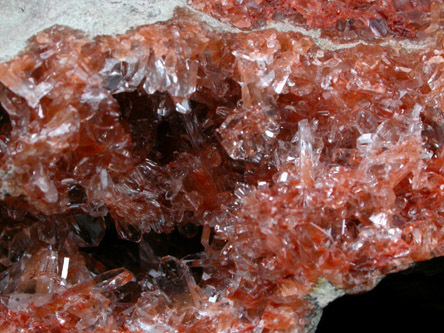 The first to form were smaller red-orange celestine crystals up to 2 mm. 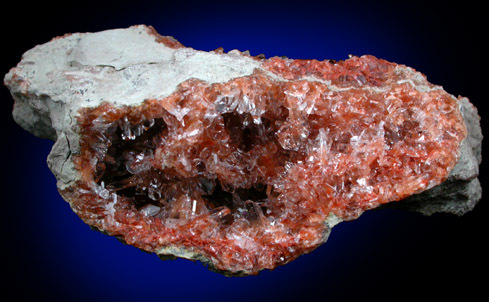 Later growth was large, water-clear celestine crystals up to 5 mm.